On November 20, ETHOS Lab supported a Master Class held at ITU in collaboration with the Alexandra Institute, entitled Find din vej i data junglen. The format was designed to share knowledge being generated within the university with businesses and companies currently facing questions of how to use big data in settings more acquainted with qualitative work. The Master Class aimed to provide up to date knowledge for small to medium size business doing consultancy, all of whom are used to working with qualitative data but are increasingly engaged with digital data. 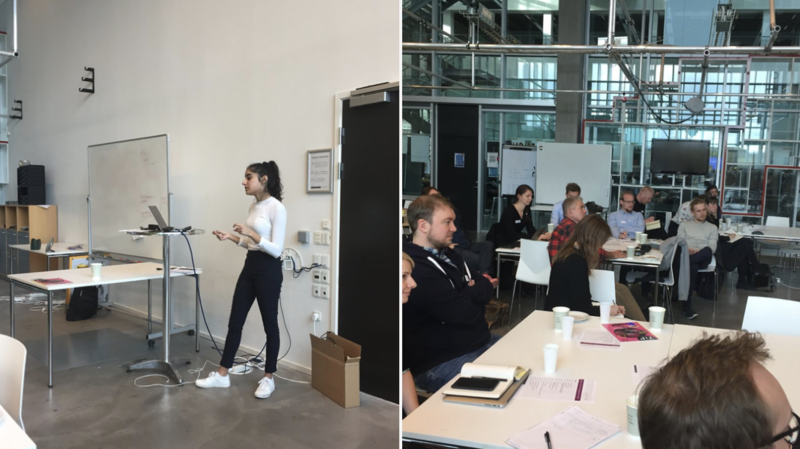 Participants such as InfinIT, Altinget and others were interested in the workshop to find new ways to work digitally with the data their clients bring or the data their own platforms and practices produce. At the Master Class, Professor Brit Ross Winthereik, of the Technologies in Practice research group, discussed the metaphor of the “data jungle”, and the challenge of navigating through the complex spaces of types and forms of data and modes of analysis possible. Prior to the Master Class, Lab Manager Simy Kaur Gahoonia and Lab Assistant Bertil Ipsen spent time conceptualizing and designing hands on workshop exercises that would allow Master Class participants to learn about different types of data, so-called data work, and forms of visualization. Bertil Ipsen produced the visualisations that participants worked with; completed the data work that was necessary for a smooth experience of the hands on exercises. Exercise in analyzing network visuzalizations. On the day, Simy introduced data work, referencing the extensive processes of working with data from data collection to its reporting. She then went on to facilitate the exercises and led discussions amongst participants. The task that participants were set was to read two types of visualisations, and examine different combinations of data. From binary data points for a decision tree to network visualisations, which are more about relations between entities, the exercises were designed to allow participants to become acquainted with the affordances of different types of data. For example, when businesses are told that Machine Learning might be able to aid their decision making, they often have little experience either with its potentials or with its limitations. The Master Class participants discussed what basic, supervised machine learning could do for them and were introduced to decision trees, variables, thresholds, and the ways that certain data types can be used to do analyses and visualisations that clients might find useful. Overall, the workshop helped participants become more informed about the suitability of certain data types for different forms of analysis and visualization, and developed critical skills for working in the contemporary ‘data jungle’.